The president of Spanish giants FC Barcelona has admitted the club are planning for when their all-time top scorer and greatest player Lionel Messi decides to hang up his boots. Although he was an obvious talent from a young age, not many could have predicted the impact that Messi would have at the Catalan club when he made his first-team debut at 17 years old. 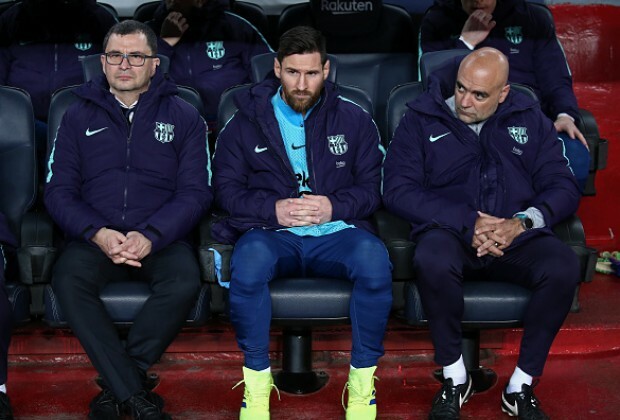 With Messi having played 665 matches for the Blaugrana, president Josep Maria Bartomeu knows the Argentine is not too many years away from playing his last game for the club. "Messi... we have the best player in the world, in history," he said, according to Sport. "I know one day Lionel will say 'I'm retiring'. But we have to prepare the club for the future. "We are bringing great young players to the team because we need to continue this era of success. That’s our responsibility. Arthur, (Marc-Andre) Ter Stegen, (Ousmane) Dembele, (Clement) Lenglet, (Philippe) Coutinho, (Frenkie) De Jong, (Jean-Clair) Todibo. "My mandate will be finished in two seasons, so I need to leave the club in a great position and tell the new president ‘that’s our legacy’." Messi has scored 581 goals and assisted a further 233 strikes for Barca, where he has won 32 trophies. Do you think Barca will be able to cope without Messi in the future? Let us know in the comments section below.